Lots of royal families have diamond fringe tiaras in their jewelry collections, but how many still own fringes that come directly from their Romanov ancestors? Today we're chatting about one of the fringe tiaras that remains with its original family: the Vladimir Fringe Tiara. 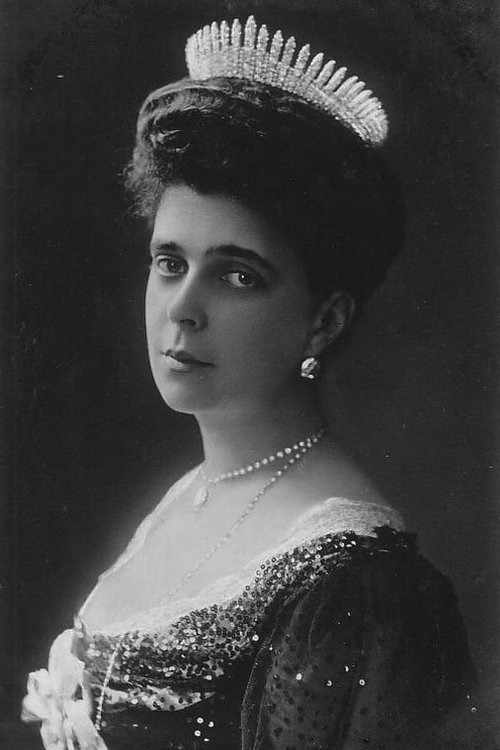 The original owner of the fringe tiara was Grand Duchess Maria Pavlovna of Russia, the German-born wife of Grand Duke Vladimir Alexandrovich. The Vladimirs never ascended to the Russian throne, but they were extremely well connected: Vladimir was the son of Tsar Alexander II, the brother of Tsar Alexander III, and the uncle of Tsar Nicholas II. Appropriately, his wife had an astonishing collection of jewelry, including the standard diamond fringe owned by nearly every Romanov woman. 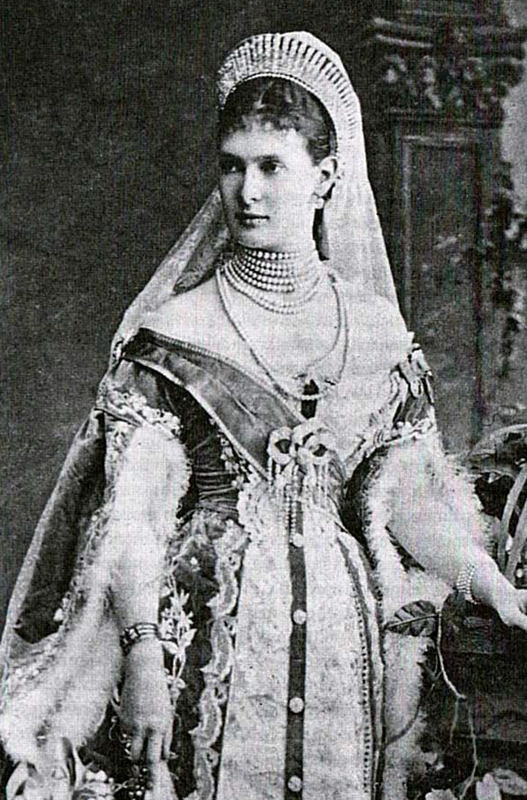 Above, Maria Pavlovna, in traditional Russian court dress, wears hers backed by a fabric kokoshnik. 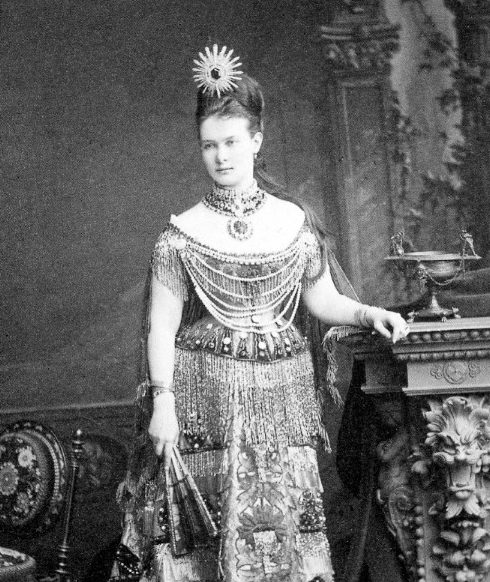 Maria Pavlovna, who went by the nickname "Miechen," was also known to innovate and experiment with her jewels. Above, she wears her diamond fringe twisted in a circle, forming a sort of sunray ornament. This setting of the fringe emphasizes the short height of the smaller fringe pieces, a detail that helps when identifying the tiara in various photos. Two of Elena's daughters honored their Russian imperial heritage by wearing the fringe as a wedding tiara. 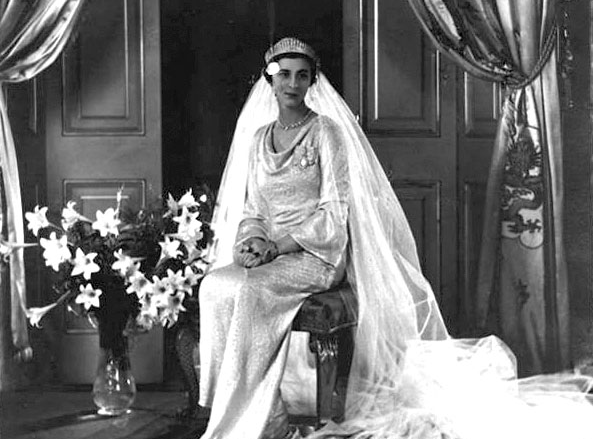 Princess Marina, who married the Duke of Kent in November 1934, wore the fringe for her two wedding services: an Anglican service at Westminster Abbey and a Greek Orthodox service at the private chapel in Buckingham Palace. 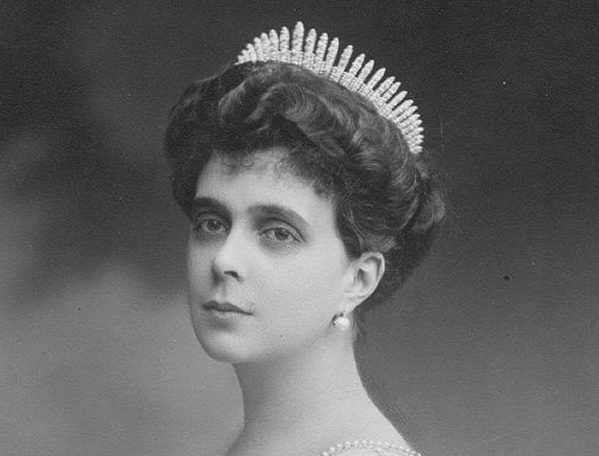 Marina also received a fringe tiara as one of her wedding presents, but she borrowed her mother's fringe tiara for her bridal diadem. The short spikes, which make the lower half of the Vladimir Fringe look so solid, help differentiate the two fringes. A few months earlier, Marina's elder sister, Princess Elizabeth, also wore the Vladimir Fringe for her wedding to Count Carl Theodor of Törring-Jettenbach, a member of the extended Bavarian royal family. 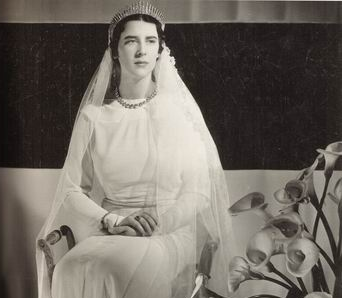 Both Marina and Elizabeth paired the fringe tiara with a simple diamond riviere necklace. Elizabeth is the one who inherited the fringe tiara from her mother, and her descendants still have it today. 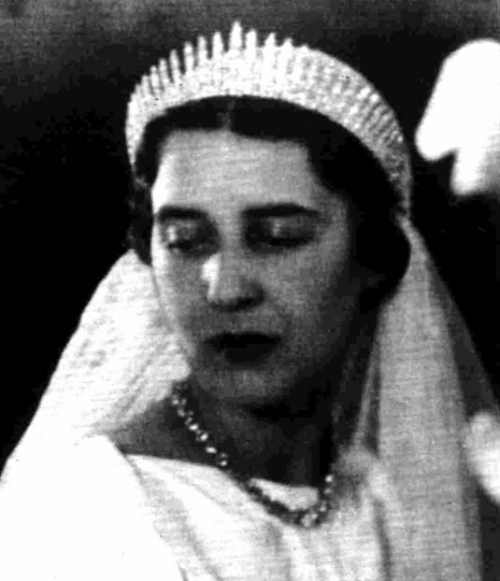 In Elizabeth's branch of the family, the tiara has continued to serve as a wedding tiara. Elizabeth's daughter Helene wore the tiara when she married Archduke Ferdinand of Austria in 1956, and their daughter, Sophie, also wore the tiara when she married Mariano Hugo, Prince of Windisch-Graetz in 1990. The tiara was used most recently at a family wedding in 2005, when Elizabeth's grandson, Archduke Maximilian, married Maya al-Askari.